A new form of seed dispersal has been described. It involves birds but not in the sense we traditionally think. Everyone understands how effectively birds disperse seeds contained in small fruits such as berries, or as barbs attached to their feathers. It took finding an out-of-place patch of Japanese stiltgrass (Microstegium vimineum) for lead author Dr. Robert Warren to start looking at bird dispersal in a different light. While working in his yard, he noticed a patch of Japanese stiltgrass growing out of a window planter some 6 feet off the ground. Japanese stiltgrass can be highly invasive but its seeds aren't adapted for vertical dispersal. However, it does employ a mixed mating system composed of outcrossing flowers at the tips of the spikes along with cleistogamous flowers whose seeds remain on the stem. Taking out a ladder, Warren discovered that the grass was growing out of a bird nest. It would appear that stiltgrass stems containing seeds were incorporated into the nest as building material and then germinated the following year. Thus began a deeper investigation into the realm of nest seeds. Teaming up with researchers at Yale and the United States Forest Service, they set out to determine how often seeds are contained within bird nests. They collected nests from 23 different bird species and spread them over seed trays. After ruling out seeds from potential contamination sources (feces, wind, etc. ), they irrigated the nests to see what would germinate. The results are quite remarkable to say the least. Over 2,000 plants, hailing from 37 plant families successfully germinated. In total, 144 different plant species grew from these germination trials. The seeds appeared to be coming in from the various plant materials as well as the mud used to build these nests. What's more, nearly half of the seeds they found came from cleistogamous sources. 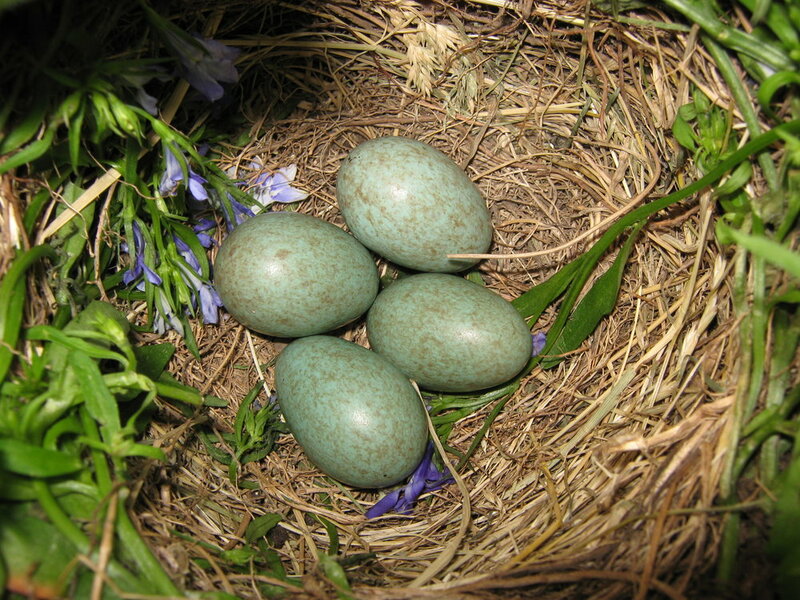 Birds whose nests contained the highest amounts of seeds were the American robbin (Turdus migratorius) and the eastern bluebird (Sialia sialis). These results have led the authors to coin the term "caliochory," 'calio' being Greek for nest and 'chory' being Greek for spread. It has long been assumed that cleistogamous reproduction kept seeds in the immediate area of the parent plant. This evidence suggests that it might actually be farther reaching than we presumed. 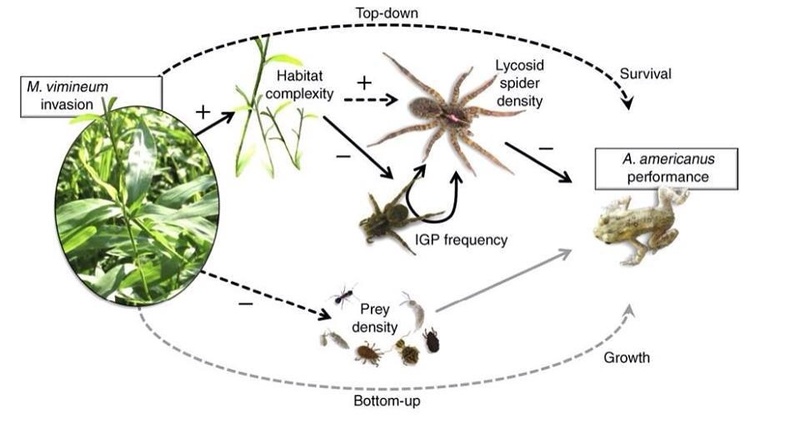 What's more, these numbers certainly hint that this otherwise unreported method of seed dispersal may be far more common than we ever realized. Whether or not plants have evolved in response to such dispersal methods remains to be tested. Still, considering the diversity of birds, their nesting habits, and the availability of various plant materials, these findings are quite remarkable!